I am so sorry for you, Camilla! Någon sa att sorgen är kärlekens pris... det är väl det bitterljuva i livet. SO sorry. I had to share a tear.. She will be missed! There's no word when you lose your dear friend. I know this feeling too well. You and Morran have been bless to meet each other. Please know that there are so many people, who haven't even met her, love Morran so much. She will be in our memories. All the best and I wish you much strength. dear, sweet camilla there will be a candle for you on our table tonight. take your time to grieve and heal. our pets know us inside and out and losing them is like losing a piece of ourselves. we all share your grief. Dear Camilla, I'm very sorry for your lost. Morran will never be forgotten. A big hug. Bye Morran, do a good trip. Oh Camilla, I´m so very sorry for you! I know the feeling and in this moment many tears falling in germany! Morran remains in our hearts! From the bottom of my heart, with teary eyes, I feel your loss Camilla. So so sorry. Sending you hugs. I know that there's no word in the world that would comfort you, to you I send my strength, I'm honored to have had the chance captured her essence in my works, and I'm so sad to say good bye so soon and can't help my tears... she'll always be remembered. Morran brought people around the world closer together. The book is a beautiful tribute to her. Lots of strength, Camilla. Dear Camilla, Morran will be missed, she was an inspiration to many of us. this step is just a sad part of your journey together. All you have built together over those years is eternal, because it is anything material, but is something much more deep and spiritual, as all true friendships are. Use all that love and strength that you have accumulated thanks to each other to overcome this difficult time. If this can be helpful to know that somewhere in Italy in the middle of the distant mountains is someone who thinks and has a wonderful memories of you. I wait your book Morran, to keep your happy face for ever. I'm sorry. She will be missed... Goodbye little Morran! 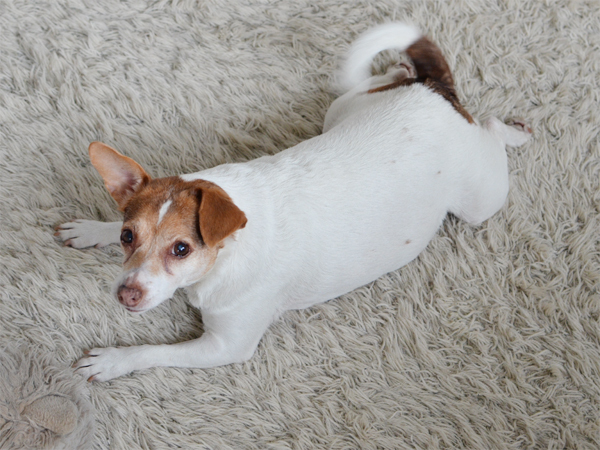 ♥ ♥ ♥...bye morran...you cute, little, amazing dog!!!! I'm really sorry, Camilla, we have all lost our little Morran. I will miss her. i am choked up. my heart aches for you because I know how it feels. Morran you were loved by people who never even met you. Please say hello to my little guy as you run on the forever beaches together. big hugs to all of you. This made me cry. I've been following Morran for such a long time that it doesn't feel real that she's gone. oh gosh, i'm so sorry. morran was the best. poor sweet girl. hugs to you and yours. Dear Camilla, I'm so sorry for your loss. I have never met Morran and yet I loved her very much, she was a very popular girl. She will live forever in our hearts and I agree with kirsten, Morran's book is a beautiful tribute from all of us. Oh Camilla. I lost my sweet, darling soul dog on Friday. She was 15 and a half. She had kidney failure and many other things to deal with. The pain of this is extreme and it comes in crashing waves. My heart, broken as it is, goes out to you. Morran was a wonderful dog and will be loved and remembered by many who never were lucky enough to meet her. I am so sorry to hear this! I'll miss that beautiful sweetheart of yours. I send you strength to get through this sad time. 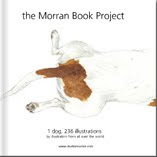 I agree with Kirsten and Cat, Morran's book is a wonderful tribute from all of us. I know this feeling oh so well. May that emptiness be filled with the knowledge her pain is gone. My heart goes out to you and all of those who loved her. Thank you do much for letting us be a part of her wonderful journey here on earth! Camilla please find comfort in this quote that has helped me when I've said goodbye to my trusty and loved canine companions..."Dogs are not our whole life, but they make our lives whole." I know you will miss her. I met Morran only this year, but I fell in love instantly. My thoughts are with you. Goodbye, sweet Morran. aaaaah, so sad to hear this, poor Morran, poor Camilla! When I look at these pictures I get tears in my eyes, those eyes..., such a lovely dog! I wish you all the best Camilla!! Oh I am so so sorry. Losing a dog is so hard. Take care, my thoughts are with you. I am really sorry. I lost my buddy two years ago. I know how hard it is. Finally I realised how lucky I was to meet him, and all the great moments we spent together. So i am grateful. You and Morran must be happy too, you shared your happiness with lots of people. I am so so sorry! Morran, thank you for sharing your amazing adventures with us. You will be incredibly missed by all. That should say globe above.. not sure what a glob is!?? I am so so sorry. A big hug to you. Tears from my eyes! Taka care! I am so sorry. Take care, a big hug. big hug to you, camilla. Morran, dulce, preciosa y única Morran. A big big hug to you Camilla from this tiny part of the world. Been a fan of Morran since favoriting the "welcome party" photo on flickr in 2007. ^_^ What a wonderful adventurous life he had! Can't wait for another book. WE L♥VE MORRAN…! I´m so sorry, a big kiss for you. mariana. I am so sorry for your loss. It was always so nice to follow Morran even though I did not know her or you in person. I'm so sorry for your loss , Camilla. I hope you're OK. Hang in there! I am so sorry Camilla! I didn't get to know her, but I liked her so much on the pictures you posted. She seams to me as the dog everyboday always wants to have! I'm so sorry. sending you a big hug from Italy. Camilla, there will always be an empty space inside your heart but little Morran's spirit lives on. On, no! I'm so sorry for your loss! What will the internet be without Morran? Tears and hugs from Switzerland. I cannot stop crying... This is so sad... It's so hard to lose a best friend.. This is such sad news. We have all loved Morran, but no-one could love her more than you. You must feel heart broken, yet so happy to have had her in your life. Thank you for sharing her loveliness with the world. She made me smile and laugh more times than I can count. The book will be a wonderful reminder of how she inspired. And knowing it will help other dogs makes it all the more wonderful. I can't wait to buy a copy. Sleep well sweet Morran, you continue to be loved and remember. oh sweet morran you will be missed. my heart goes out to you, camilla, and i hope all these morran-images will bring comfort. Much love to you. Morran brought so much joy to you and I know that you and your family and friends were a joy to her. She will always be with you. Good bye sweet girl! You will be missed! Oh how we love our sweet little canine friends, but never as well as they love us. I hope you are comforted by the love so many have for your beloved Morran. She will be remembered as a fine dog-and really there is no finer being than that. These last two pictures have me undone--what a beautiful girl she was. I have had to put too many beloved dogs to sleep not to understand how you must be feeling. (we had 6 dogs living with us at one time!) Thank God you have that book coming with all those wonderful pictures of Morran. My heart is broken for you and the two of you are in my prayers. By sharing Morran with the world, you started something very special and I know that mine is not the only broken heart. 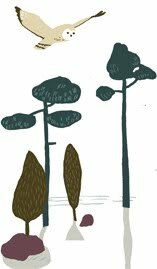 Though we didn't know her, Morran has been beloved for some time in our blog-reading house. What a sweet soul. Wishing you peace. I read your post with tears in my eyes. Morran touched so many hearts. You gave her a wonderful life. I am so very sorry for your loss. I lost my wonderful lab to cancer earlier this year. Dogs truly are members of our family. The news broke my heart and brought tears to my eyes. Morran softened and inspired a sense of magic in our hearts. Thank you for sharing with us the beauty between you two. Morran was perfectly yours, and alongside you, she inspired the world. Much love and strength to you from New York. Kisses for you, Morran. And love always! OH no. Camilla, I am so sorry for your loss. This is your little girl, and you gave her such a happy home. 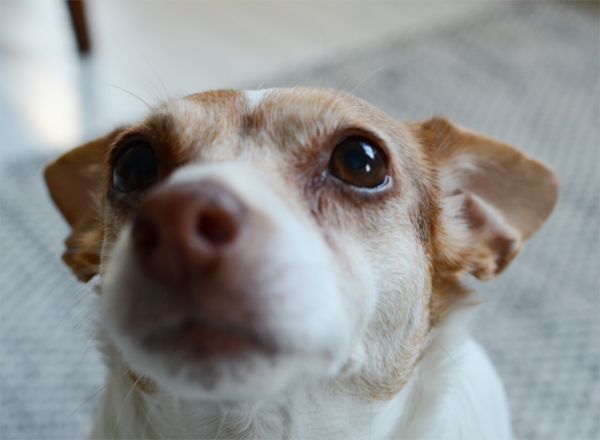 I loved seeing her in your blog, and always thought what a wonderful little dog she was. Now she is an angel dog. She will be there to greet you when it is your time. Until then, she will watch over you. My greatest condolences for the sadness you must feel! i just found you and now you are gone. bye sweetness. I only just realised the sad news. My eyes are teary and i'm sad for your loss. It's amazing how much happiness a dog can bring.